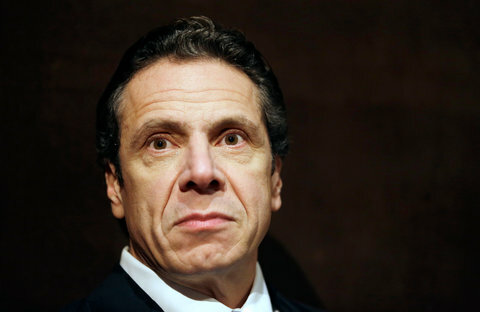 Andrew Cuomo: Architect of bad ideas. As bad as high minimum wages are when the apply to the whole economy, targeting one particular industry is arguably even worse, due to the distortions such a policy creates. The most basic axiom of economics, apparently ungraspable by public policy makers, is that people respond to incentives. Let’s take a second to think about how mandated higher wages in one industry change the incentives people face. Workers are the most obviously affected, so we’ll start with them. The prospect of a higher wage will attract low-wage workers from other industries to the fast food business. Suddenly, the local McDonald’s will be flooded with job applications, while other low-wage employers struggle to fill job openings. More job applicants than there are jobs means unemployment, and unemployment means a greater burden on government welfare programs, and by extension, the taxpayer. Now let’s look at the employer side. Employers in the fast food industry will have to make their payrolls stretch further to cover the higher wages. This means they will hire fewer people than they otherwise would, and encourages the replacement of human workers with machines, such as self-checkout stations. This doesn’t only impact current employers, but future ones as well. If you’re making a decision between buying a Burger King franchise or opening a different kind of store where you can pay lower wages, the regulation is certainly going to figure into your calculations. This means fewer fast food establishments, with fewer job openings, which leads to unemployment, which results in a greater burden on government welfare… wait, we’ve been here before, haven’t we? Both sides of the equation promote the problem of too much labor chasing too little work. Where the goal should be to create a pro-growth environment that will encourage production and innovation, leading to more jobs and higher wages simultaneously, politicians are instead trying to micromanage markets to do the impossible: increase wealth by the sheer force of will.